Venture capital is financing that investors provide to startup companies and small businesses that are believed to have long-term growth potential. For startups without access to capital markets, venture capital is an essential source of money. Risk is typically high for investors, but the downside for the startup is that these venture capitalists usually get a say in company decision. Since African Americans have limited access to capital, will Venture Capital be any easier. Joining us for our discussion on Do I Want Venture Capital? is William Crowder who is calling in from his Philadelphia PA office. 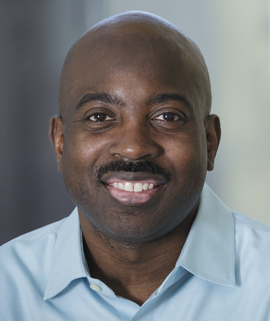 William joined Comcast Ventures in 2012 to lead the Catalyst Fund which focused on investing in startups with diverse founding teams. He is responsible for identifying, executing and managing new investments while supporting existing portfolio companies for the Fund. He has an East Coast focus with a particular interest in startups leveraging data and technology to create new operating models for inefficient markets. A former bootstrapped entrepreneur himself, William’s early stage experience also extends to his involvement with DreamIt Ventures, a global startup accelerator, where he is a partner.